Be an Employer of Choice. We work hard to achieve a harmonious and rewarding work environment for our people, built on open and honest communications, job fulfillment and a work/life balance. Strive for a 100% injury-free workplace. 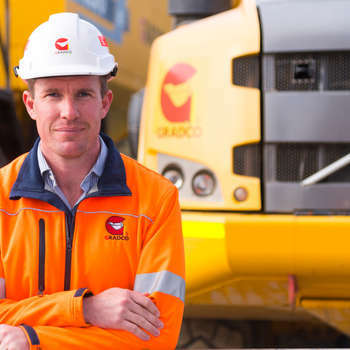 Gradco has an outstanding safety record and its policies, procedures, training and auditing programs ensure it will continue to meet industry best practice standards. Be a Contractor of Choice. At all times, we will act with integrity and fairness. We endeavour to continually achieve better results for our clients ensuring mutually beneficial outcomes. Be a Leader in Corporate Sustainability. We aim to deliver successful project outcomes, by maintaining our economic growth while working to limit our environmental footprint.